All Coast Auto Transport knows that your vehicle is important to you. You may be transporting it to save wear and tear from undesirable road conditions, or perhaps you're sending a child off to college and have their vehicle meet them when they arrive. All Coast Auto Transport is dedicated to providing the customer service that treats your vehicle with respect and guarantees that your vehicle arrives in an affordable and safe condition. Executives in the customer service industry that have over 20 years of experience founded All Coast. 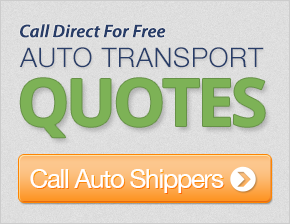 Their affordable car shipping rates and prompt service sets them apart from others. They are committed to keeping you informed every step of the way until your vehicle is safely delivered to it's destination. They conduct their business in an honest and ethical manner and are a licensed Auto Transport Broker with the U.S. Dept. of Transportation FMCSA/MC-742664. All Coast Auto Transport is a division of National Transport Solutions, LLC, one of the nation's leading auto transporters. Are you looking to transport your car? Sports cars, luxury cars, trucks, SUVs, mini-vans and large vans are delivered under the best of conditions, from door-to-door, so to speak. They even transport golf cars, motorcycles and heavy equipment. You can choose an open carrier or an enclosed carrier for vehicles that need to be protected from weather. No matter what type of vehicle you are transporting, be rest assured that your vehicle is fully insured with a minimum of $125,000 of liability insurance and cargo insurance for transport throughout the continental United States and parts of Canada. They also will provide you with a condition report. This report notes the condition of your vehicle when the carrier first arrives for pick-up and is used to compare the condition of your car when it arrives at its destination. All Coast Auto Transport takes pride in respecting your vehicle from pick-up to delivery. I was very very pleased with your advice and service. My car was delivered on time with no concerns. The people there were very helpful. Also, I would highly recommend this transport company, as they did everything in a professional manner. Excellent! Great service! This was my second time using your service in a year and a half, and both times I had a great experience. I highly recommend them and will definetly use them again in the future. The driver was a terrific guy when I met with him to pick up the vehicle. My rep was patient and took time to explain each step of the process. He followed up when he said he would, and stayed with me through the entire process. They were very professional, knowledgeable and understanding of this being my first experience shipping a car. Thanks for being most helpful! My rep was a pleasure to work with. She promptly returned all of my calls. My car was delivered promptly and in great condition, so, overall, it was a positive experience. We liked the driver very much. He's a good guy. Your rep was helpful to me. She assisted me during an illness to ship my car. Thanks! They were very helpful and prompt. Pick-up and delivery were very timely. The driver did an excellent job. We were very pleased with the service. This is a great service and is very fast. Four days for delivery after pickup was nice. Thanks! She was very nice and helpful. Thanks! I had a great experience with fast shipment. It was a pleasure doing business with you. Everyone we dealt with was very nice. The driver was a real gentleman. We were very pleased. We will use your service again! Our rep was great. Out of the all the other companies I shopped, I finally found one that really had customer service skills, not just a title. The trucking company was also very good. I would definitely use your services again. Thanks. The service I recieved was by far more enjoyable than all the other shippers I had contacted. My rep gave me excellent customer servise and handled everything for me. Even the truck drivers were very friendly. Overall, I was very pleased, and I would refer them to anyone. Thanks! Once again, a great experience shipping my car across country. Appreciate everything, as my service was great! The broker picked up my car as scheduled, and delivered to my Florida destination earlier than I anticipated. Driver was no-nonsense, extremely professional, dependable, and competent. I felt comfortable knowing he was in charge. You were an excellent choice. Nice experience and I will certainly pass the word. Thanks. Excellent communication from the driver. The service was very speedy, including delivery, with exceptional customer service. Overall, this was a great expierence. My rep was very helpful. The driver was excellent and cooperative. Thank you for your service. My rep is excellent - courteous and very helpful. I really enjoyed working with him. I am believing that the rest of the move is as good. They did a great job and were right on time.